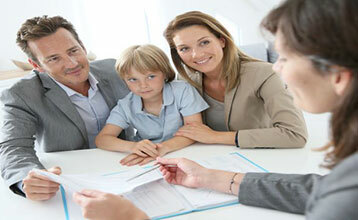 Before negotiating a lower rate from your bank, find out what other lenders are offering. Plenty of websites post current rates from all the banks, which can vary widely. A good one to look at is canadamortgage.com. “If you don’t come right out and ask for a better rate, you won’t get one,” says Alan Silverstein, a real estate lawyer in Toronto and author of The Perfect Mortgage: Cutting the Cost of Home Ownership. He also notes that banks may be more willing to lower your rate if you transfer over other accounts or investments. Don’t just fixate on the interest rate. The amortization period, the rate type (fixed or variable) and the flexibility of the payment schedule can be crucial to lowering your costs. “A lot of people renew with their lender and don’t even think about switching to another one, despite the fact that they could do better,” says Silverstein. Note that there’s no penalty if you switch at renewal time. Did you know?!? Saving even half a percentage point on your mortgage rate can save you up to $10,000 over 25 years (based on a $150,000 mortgage).